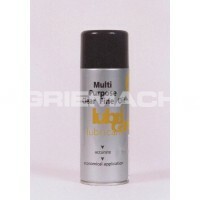 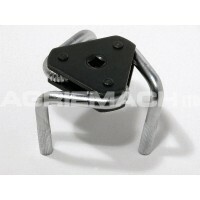 One of the most popular sizes for servicing fasteners on motorcycles, ATVs and ATCs. 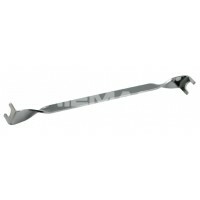 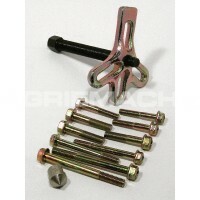 Total length ..
4 pc 12-POINT WRENCH SET - Fits 12-point “serrated” fasteners found on many makes of veh.. 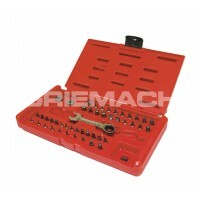 This set cleverly uses offset stubby combination wrench, plus two special 5/16” and Â¼” hex adaptors..
A powerful cleaning fluid for use on parts of brake and clutch systems, eliminating brake squeal and..
CARBURETTOR CLEANER AEROSOL 400 ML - Removes oil, grease and gum from carburettors and injection sys..
CLEAR FINE OIL AEROSOL 400 ML - High-grade clear, multi-purpose lubricant for use on all types of ma..
CLEAR PENETRATING OIL AEROSOL 400 ML - Specially blended penetrating release fluid to help rel.. 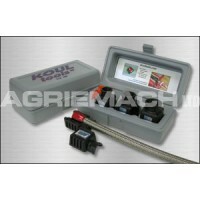 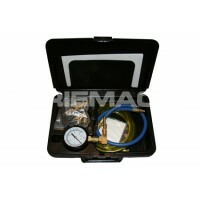 COMPRESSION TESTER (UNIVERSAL KIT) This kit will cover virtually every compression test from lawn mo.. 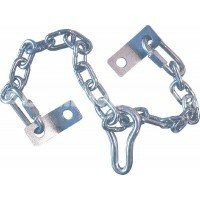 The 14 mm threaded bolt, bolts into the spark plug port to lock the engine in place to allow for ..
28” (710 mm) long, heavy-duty chain assembly, helps lift engines and heavy parts up to 100.. 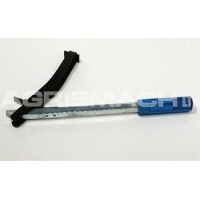 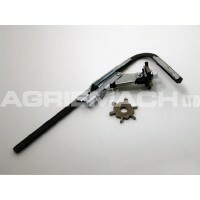 This is a simple Tool that makes belt tightening an easy one-man operation. 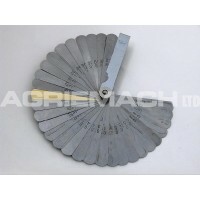 It will work on most..
FEELER GAUGE - 33 BLADE STANDARD 32 high quality straight blades .0015” to .035” and one brass blade..
FILTERMAG (FLAT BOTTOMED) — FMTM180 & FMTM360 25% DISCOUNT FOR ON-LINE ORDERS (PRICES SHOWN INCLUDE..
FLUID TRANSFER TOOL - Much more resistance to automotive fluids than an ordinary turkey baster, this..
FLYWHEEL TURNER - Designed to engage flywheel teeth and provide leverage to rotate crankshaft to des.. 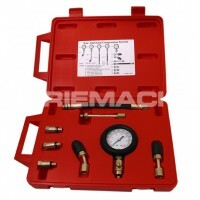 Easily repair air conditioning systems or fuel injectors with this one simple kit. 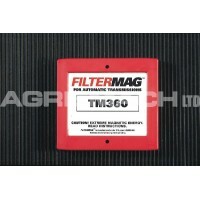 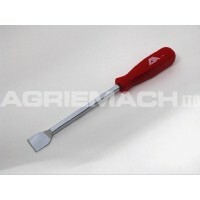 Contains br..
FUEL INJECTOR HARNESS DISCONNECTOR TOOL - This tool quickly removes and installs fuel injector harne..
GASKET SCRAPER All purpose scraper for removing shellacked gaskets, paint, grease and carbon. 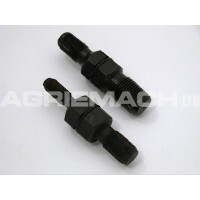 Forged..
HARMONIC BALANCER PULLER - Removes the harmonic balancer or pulley from the front of the crankshaft..
2 Pc HOSE PINCH SET This pair of small and compact tools pinches off flexible fuel and vacuum lines ..
IMPACT WRENCH KIT Loosens rusted screws, nuts and bolts. 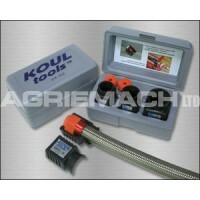 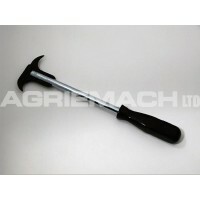 Use with hammer to provide maximum torque a..
Koul Tool — The Koul Tool is the only tool to overcome the problem of installing braided hose i..
Koul Tool The Koul Tool is the only tool to overcome the problem of installing braided hose i.. 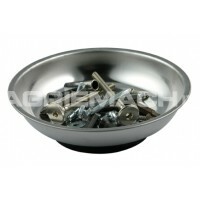 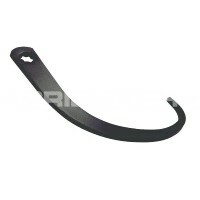 MAGNETIC PARTS DISH - This useful tool compliments our range of magnetic products and is designed to.. 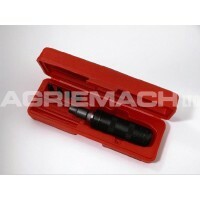 This kit can test the fuel pressure on virtually all makes and models of petrol engine vehicles equ..
PARTS CLEANING BRUSH Excellent brush for cleaning engine and parts. 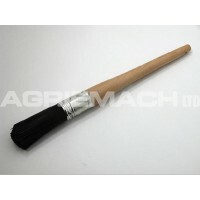 Bristles and handle are made of ..
PISTON GROOVE CLEANER This useful tool removes carbon from ring grooves on pistons — 2”—5 “ diameter.. 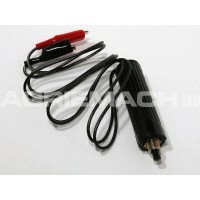 REMOTE CONTROL STARTER SWITCH - This heavy-duty switch controls any engine with the solenoid starter..
SEAL PULLER Ideal for removing oil and grease seals on cars and trucks. 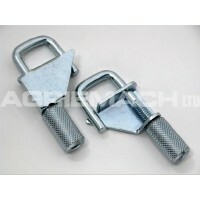 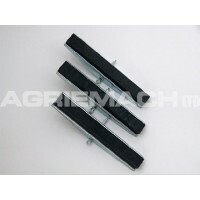 Manufactured from hardened s.. 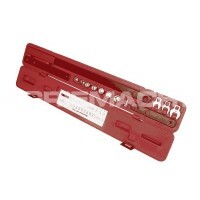 The kit releases the tension on belts with spring-loaded idler pulleys. 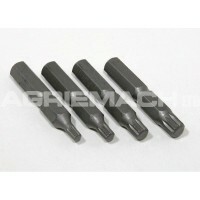 The extra long handle 23..
SET OF (3) STONES WITH COTTER PINS (COARSE)..
SET OF (3) STONES WITH COTTER PINS (FINE) ..
SET OF (3) STONES WITH COTTER PINS (MEDIUM) .. 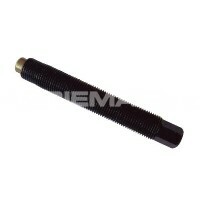 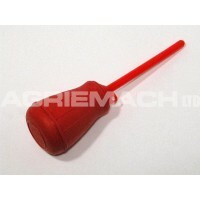 SPARK PLUG HOLE THREAD CHASER - 10mm-14mm Removes carbon and corrosion and straightens damaged threa.. 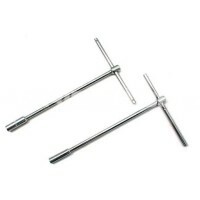 SPARK PLUG HOLE THREAD CHASER - 14mm-18mm Removes carbon and corrosion and straightens damaged threa..
SPIDER TYPE ADJUSTABLE OIL FILLER WRENCHES - Three clamping legs are driven by gear mechanism for ma..